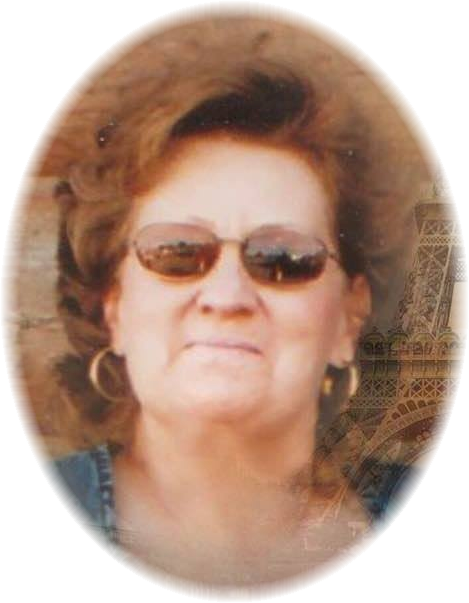 Betty Jayne (Laughlin) Tallent age 70 of Forsyth, MT passed away peacefully surrounded by her family on April 7th 2019. Jayne was born in Trinidad Colorado on February 11, 1949. She is the middle child of Robert and Doris Laughlin. Jayne grew up in drill camps around the Colorado area. She finished grade school in Naturita Colorado and graduated high school in Nucla Colorado. Jayne met the love of her life in 1971 on a blind date. She was working for a telephone company and he was in the Navy. They were united in marriage in Guam where they spent 3 wonderful years. They moved to Colorado for two weeks to see her parents, then came to Forsyth Montana. Jayne dedicated her life to raising her two children and taking care of her family. Jayne was known as mom to many of her children’s friends and enjoyed being there for each and every one of them. Jayne was previously a member of The Order of The Eastern Star and a mother and advisor to some wonderful rainbow girls. Jayne was very passionate about fossils and rocks. She also enjoyed fishing and painting. Her family meant everything to her. Her greatest memories were of times spent with friends and family. She especially loved having sleepovers with her grand babies. Jayne was preceded in death by her parents Robert and Doris Laughlin of Grand Junction Colorado; her in-laws Adolph and Lorraine Tallent of Forsyth Montana and her nephew Rob Wells of Craig Colorado. Jayne is survived by her amazing husband of 47 years Gerald Tallent; her brother Robert (Lillian) Laughlin of Grand Junction Colorado; her sister Jean (Ben) Borgman of Mountain View Missouri; her uncle Charles (Yossi) Killgore of North Carolina; her children Robert (Shannon) Tallent of Forsyth Montana, Carolina (Justin) Hanley of Miles City Montana, Clint (Brooke) McCaffree of Forsyth Montana and Ari (Clarissa) Layoun of Temecula California; her nieces and nephews Dan (Tabitha) Borgman of Wyoming, Jenny Wells of Grand Junction Colorado; Eddie Borgman of Missouri, Christopher (Jessica) Laughlin of Littleton Colorado, Jason (Melissa) Cole of Laurel Montana and Lara (Ashley) Tait of Cascade Montana; her guardian angel Nicki Mogle of Forsyth Montana; and her grandchildren Adam Mansfield, Michelle Tallent, Emily Mansfield, Hannah Hanley, Ava Hanley, Austin Hanley, Breelynn McCaffree, Kaylie McCaffree, Cole Layoun and Serena Layoun. All our prayers are sent to you and yours in this very difficult time. Please know you have lots of people who love you and are here for you. I’m so sorry for your loss. Prayers and condolences to you and your family. She will be missed. My deepest sympathies. Jayne was the best advisor we had as Rainbow Girls, and I always admired her wisdom …and profound kindness. Our thoughts and prayers are also with you. Jayne was a wonderful person. I can remember her talking about how she loved living in Guam in the early days of her marriage to Gerry. She also often spoke about how much she loved Gerry and how much she appreciated the way that he loved her and how well he took care of her. She will be missed. Please accept our deepest and heartfelt condolences at this most challenging time. May the sweet memories of your dear loved one and God’s Word bring you comfort in the days ahead. We eagerly look forward to the the fulfillment of God’s promises (Isaiah 26:19; and Psalms 37:29). Our deepest sympathy to Gerry and the children. We will remember all of you in our prayers.